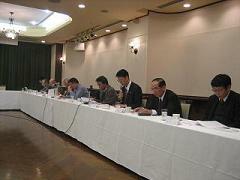 The 2011 Fourth Meeting of of Tokyo Section Executive Committee was held on Friday, November 26, from 3:00 p.m. at IVY HALL, Tokyo. 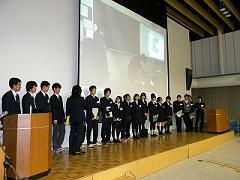 2010 Student Branch Leadership Training Workshop (SBLTW) was held at Kagawa University on October 16, 2010. 56 members, including 47 students from 22 colleges which have each Student Branch were participated. The SBLTW began with the invited keynote talk by Dr. Yong-Jin Park, IEEE R10 Director. Then, all the participants introduced themselves and each Student Branch reported their original activities. JC GINI (Global Integrated Network of IEEE), which was established this year, was also introduced. In the afternoon session, JC SAC Vice-Chair/Trainer, Professor Onoye of Osaka University, lectured about IEEE overview and IEEE student branch administration. After the lecture, students worked on the training program. The students divided into some groups took a disposable film camera apart to pieces, counted the parts, and analyzed the mechanisms. They enjoyed such a mechanically oriented workshop. 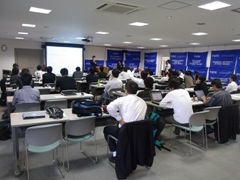 The 7th IEEE Tokyo Young Researchers Workshop was held at Kuramae Hall, Tokyo Institute of Technology, Tokyo, on 20th November, 2010. Koujiro Nishimiya (Professor of University of Tsukuba, Graduate School of Systems and Information Engineering) who is it’s execution chairman and postgraduate students around Tokyo held this event by themselves. This workshop aims to offer opportunity for young researchers to communicate. Main Theme of the event this year is "Science Dream Laboratory"． Presenters discussed each other to make sure that they studies with big dreams through their science. And they invited Junior high school and high school students as special referees. For Junior high school and high school students, it’s a chance to decide what kind of field they want to study in the future. And for presenters, they could practice to explain their studies comprehensibly. To pursue ideal science, presenters were from both science fields and the other fields, for example liberal arts field. So they could discuss each other. And paintings were decorated for healing. As a result, a slogan "All technology from all human activity makes ideal science" was made as a philosophy of the workshop. Awarding ceremony for Essay Contest hosted IEEE Gold/WIE took place at social gathering after poster session. Awarding ceremony for poster session was held at the end, this workshop closed with success. Two members in Japan received 2011 IEEE Medals, according to the announcement on December 1st, 2010.